More than 72,000 people died from drug overdoses between January 2017 and January 2018, according to new preliminary estimates from the Centers for Disease Control and Prevention (CDC). That represents a rise of 6.6 percent nationwide from 2016 and a death toll higher than any other cause of non-disease death in the U.S., including HIV, homicides, or car crashes. The primary reason for the increase was a continued uptick in deaths involving synthetic opioids, a category that includes the medical painkiller fentanyl. Last year, nearly 30,000 deaths involved these drugs -- an increase of more than 9,000 over 2016. Fentanyl can be mixed in drugs like cocaine, meth, and some anti-anxiety medications, and can “overwhelm even experienced drug users,” the New York Times said. But while overdose deaths involving synthetic opioids rose dramatically, deaths from heroin, prescription opioid pills, and methadone fell. Parts of Appalachia and New England showed the highest mortality rates. CNN reports that 25 people overdosed on opioid-laced drugs on Wednesday alone in the city of New Haven, Connecticut. 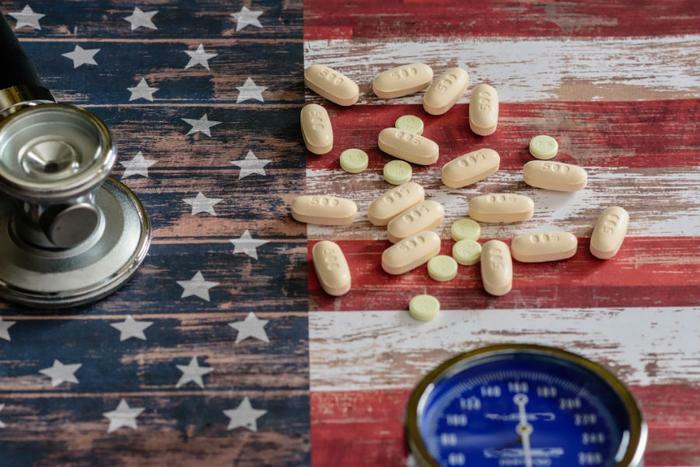 Following a trend from previous years, the highest death rates were seen in West Virginia, with 58.7 overdose deaths for every 100,000 residents. The District of Columbia (50.4), Pennsylvania (44.1), Ohio (44.0), and Maryland (37.9) rounded out the top five. States in the Great Plains had among the lowest death rates. Nebraska had the fewest, with just 8.2 deaths per 100,000, a rate less than one-seventh the rate in West Virginia. The CDC’s numbers for 2017 are just an estimate, not a final count. The CDC said some drug overdose deaths require lengthy investigations and are not reported for six months after the death. The CDC uses statistical methods to project the actual death total. Efforts to curb excess opioid use have been launched by Cigna, Walgreens, and the Food and Drug Administration (FDA). But pain patients and pain advocacy groups have lamented that the opioid epidemic being declared a national emergency has made it more difficult to obtain the drugs they legitimately need to manage their severe pain, making the issue complicated.